The unique Verandah is the latest in outdoor living. 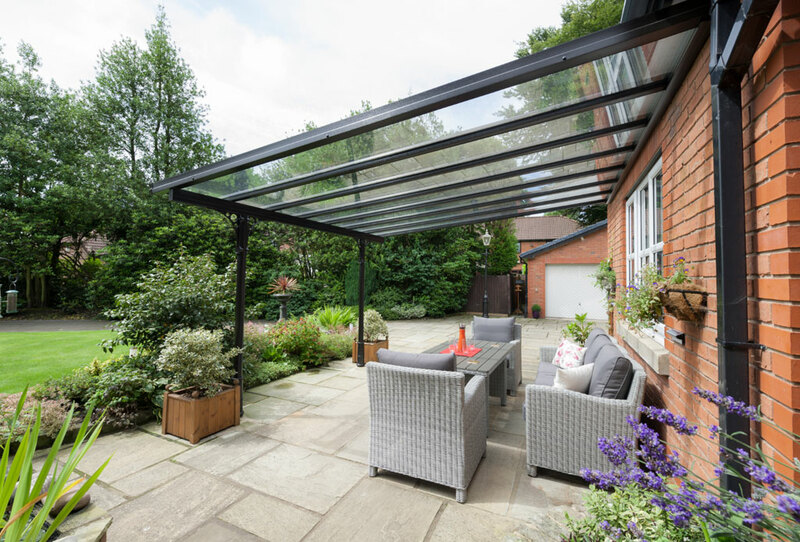 It stylishly creates the perfect area in which to entertain outdoors, so that you, your friends and family can enjoy your outdoor space all year round, whilst providing shelter and shade through the seasons. 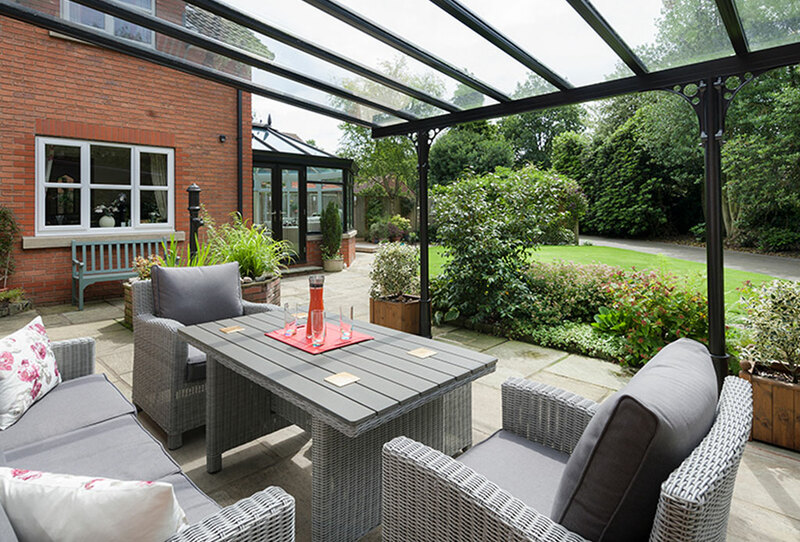 The Verandah truly opens up your outdoor living potential, creating a focal area for mid summer parties, or a space to cosy up around a fire-pit and under blankets in autumn. 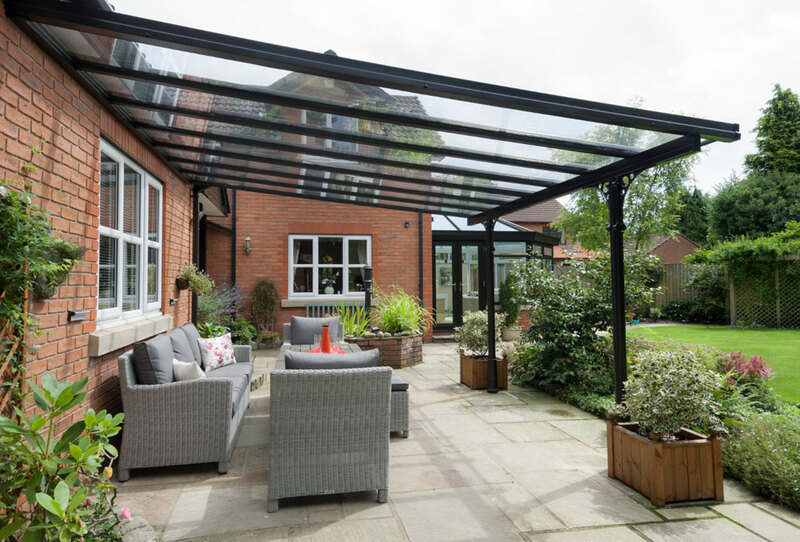 As well as transforming home life, the Verandah is an ideal solution for commercial entrances or covered walkways, capable of being designed as a lean-to, splayed end, or even L-shape structure. 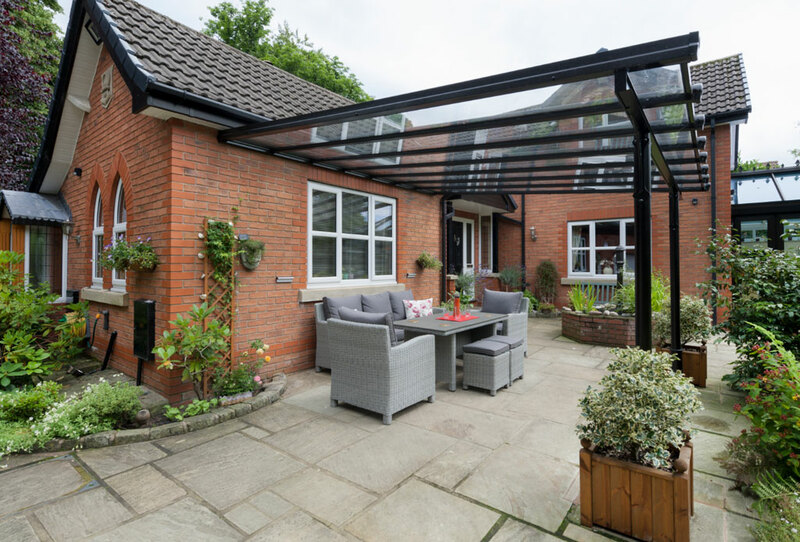 With a range of both modern and traditional decorative options available, the Verandah is without a doubt the best looking glazed canopy available. 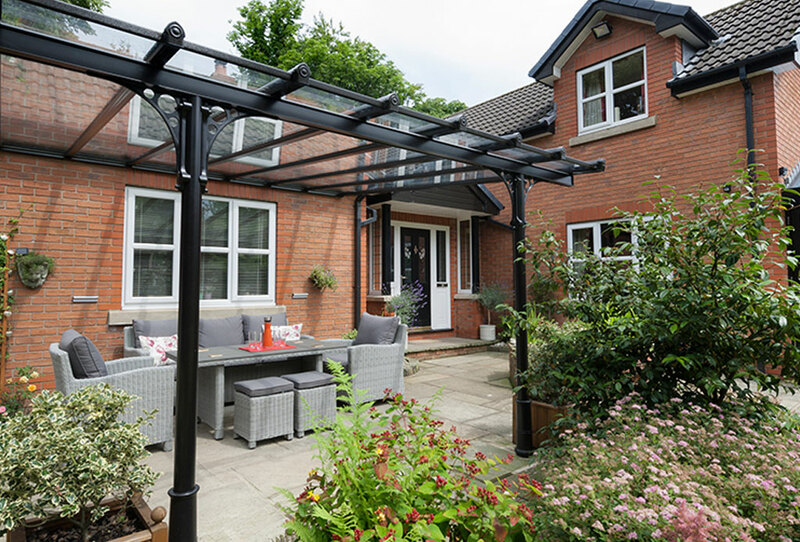 With detailed posts, column covers and decorative gallows brackets available the design of the canopy can be tweaked to match your personal aesthetic. As standard the Verandah is finished in a crackle black finish, with other colour options and finishes available. This stunning addition to your living space can be installed in just a matter of hours, with minimal disruption to your outdoor environment. 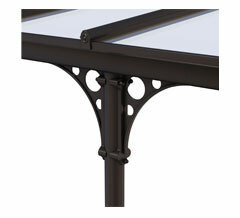 Traditional aesthetics - post, column covers and brackets, with decorative casting to column base. Gutter system or bar overhang detail. Built in tolerance for post height levelling / fixing. 24mm double glazed units or 25mm polycarbonate available. Pad foundation cast beforehand - fixing plate hidden beneath ground level, or fixed directly to existing patio if on suitable foundation. Installed in just a few hours.